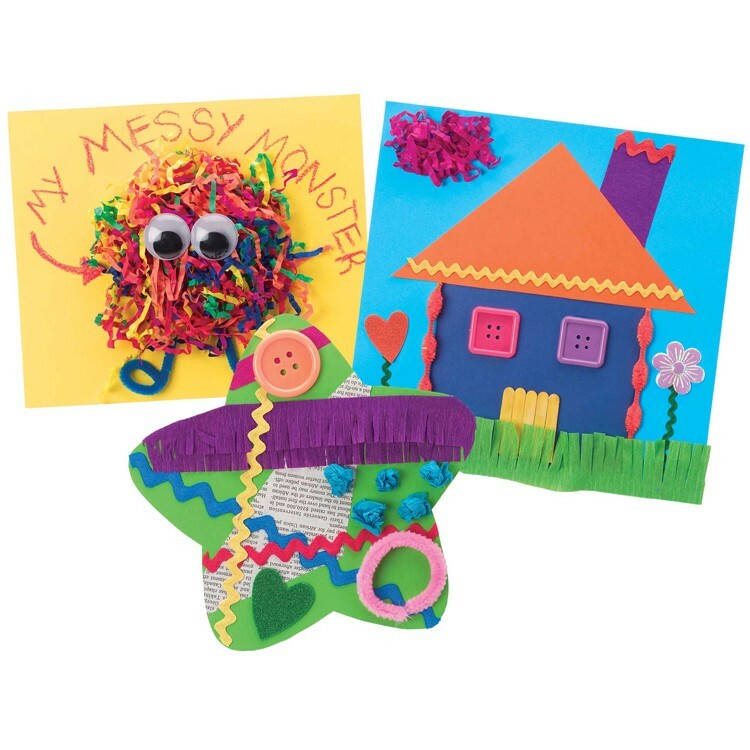 The award-winning My Crafty Kit Arts & Crafts Kit for toddlers and preschoolers is great to have around for hours of creative and fun crafting. 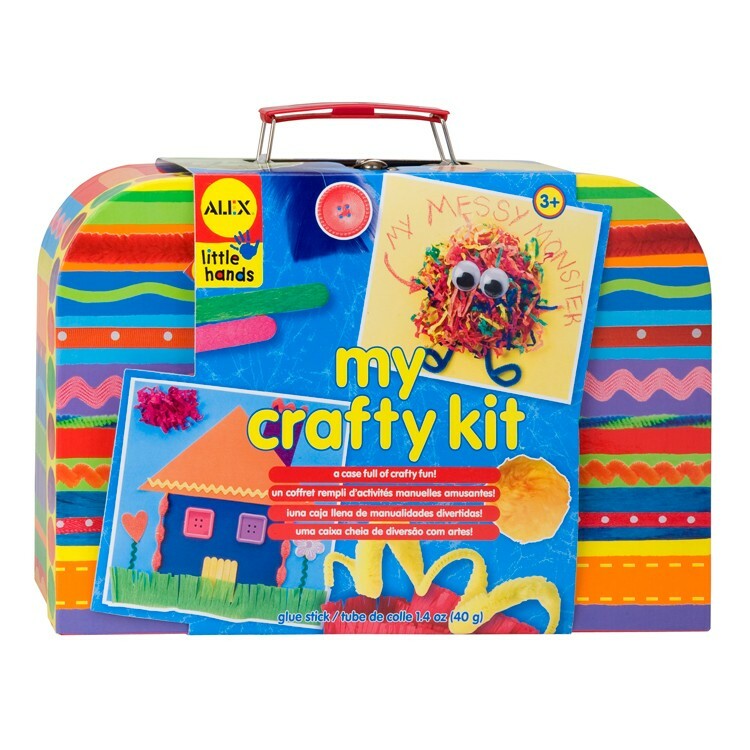 There are so many art projects to do with My Crafty Kit Arts & Crafts Kit by Alex Toys. Inside the stylish suitcase you can find tons of supplies that you can use again and again. With all the fun art supplies enclosed in this My Crafty Kit Arts & Crafts Kit the creative possibilities are endless. This deluxe craft kit comes with 6 cardboard shapes, 1 crack & peel tissue art shape, 100 tissue paper squares, 20 pipe cleaners, popsicle sticks, giant wiggly eyes, giant pom-poms, 8 crayons, safety scissors, white glue, feathers, alphabet stickers, construction paper, ric-rac, foam heart stickers, crinkle paper, puffy flowers, paper doilies, crepe paper and fringed paper, and even more! Create a stringy monster, design your dream house or make a collage of it all! The award-winning My Crafty Kit Arts & Crafts Kit is great to have around for hours of creative and fun crafting. All craft supplies are easily storable and portable. My Crafty Kit Arts & Crafts Kit from Educational Toys Planet is a wonderful toy to start with for any aspiring artist! Dimensions of package 3.75" x 12" x 8.25"
Write your own review of My Crafty Kit Arts & Crafts Kit.